Lake Tahoe’s iridescent blue color is unmistakably the most celebrated aspect of this gargantuan alpine lake. From the League to Save Lake Tahoe’s famous “Keep Tahoe Blue” slogan to a vodka brand that celebrates Tahoe’s blueness, locals and visitors alike are mesmerized by the lake’s azure waters. Yet, every fall season our collective gaze is turned toward the aspen-covered hillsides erupting in vibrant hues of orange, yellow, and red. 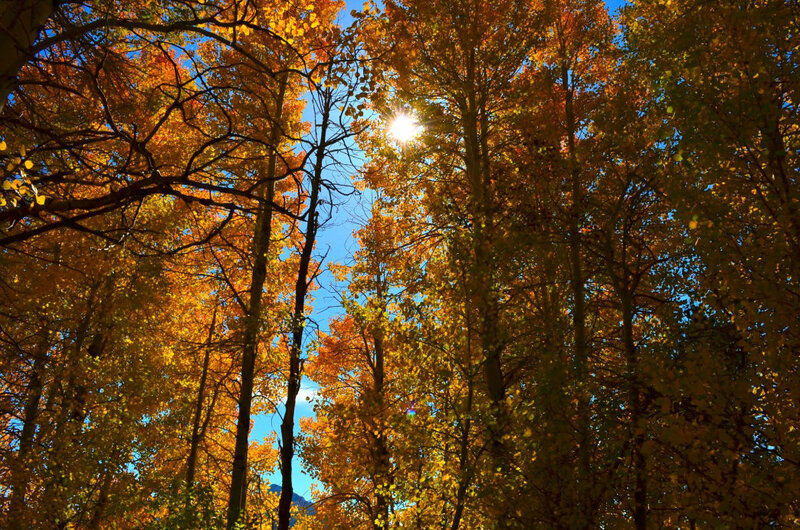 Fall in Tahoe is as close to the perfect season you can get, with warm daytime temperatures that are perfect for hiking and chilly nights that have us digging down jackets out of the closet. This is the perfect time to squeeze in those bucket list hikes and adventures before winter’s grip sets in. Here, ideas for some of the best hikes and vistas to take in the grand color scheme of fall in Lake Tahoe. Hope Valley, located just 20 minutes south of Lake Tahoe, offers a fall color paradise with panoramic vistas of golden hillsides. Those looking for a quick drive-by photo opp will find a plethora of road pullouts along highways 88 and 89. 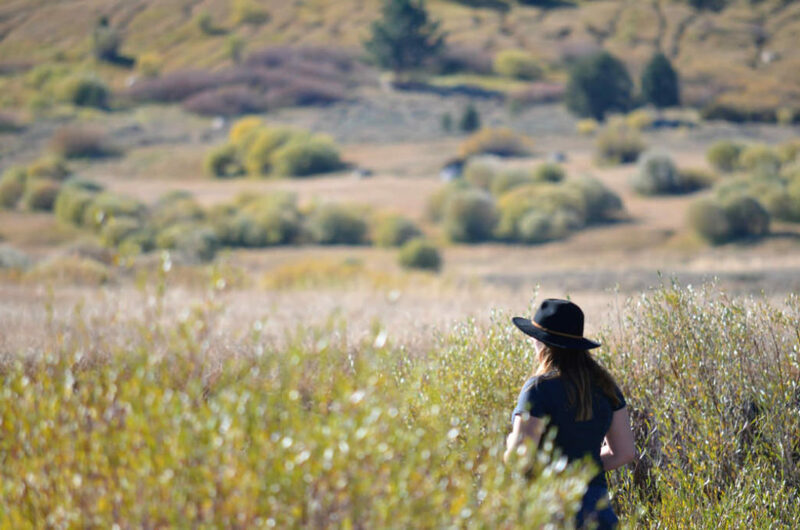 For color seekers looking to combine their sightseeing with a short hike, a network of trails begins near the junction of the two highways, working their way through thick stands of aspen groves for an immersive viewing experience that is sure to be an instant Tahoe memory. 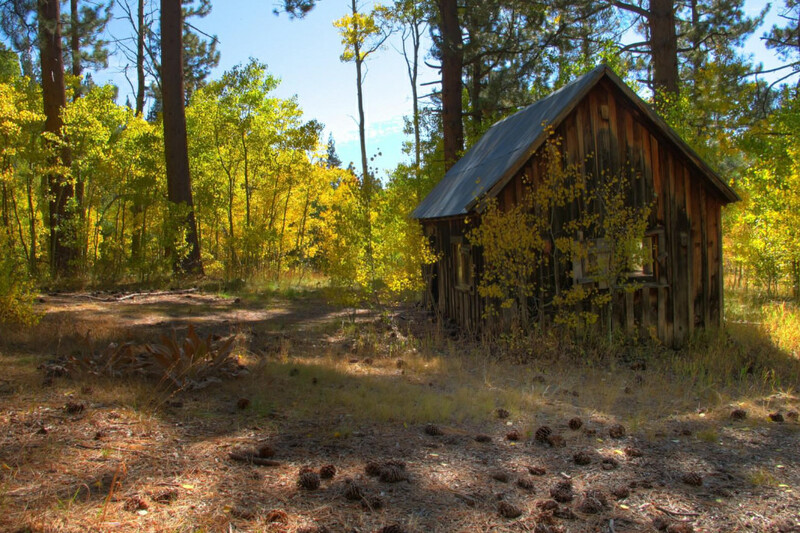 Visit the kind folks at Sorensen’s Resort for more insider info on the trails in the area, and consider rewarding yourself with an overnight cabin stay surrounded by colorful groves. With wide swaths of Aspen groves split by the meandering Taylor Creek, the Forest Service visitor center and surrounding walking paths are the perfect family trip to take in Tahoe’s fall colors. Visitors to Taylor Creek and its Rainbow Trail will be delighted to find a wide palette of burnt orange meadow grasses, golden aspen leaves, and dark green jeffrey pine framed against the backdrop of the often snow-dusted Mt. Tallac. As an added bonus, fall season also coincides with the annual kokanee salmon spawn, with Taylor Creek serving as the epicenter. From elevated viewing platforms, visitors can watch the bright red salmon migrate upstream. 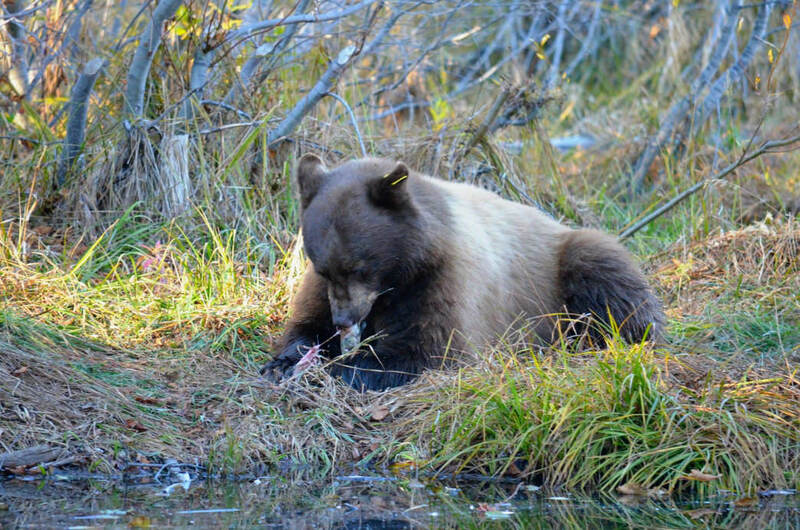 Lucky visitors will be rewarded with the occasional sighting of a hungry bear capitalizing on an easy salmon meal. However, be sure to keep your distance from wildlife, for your own safety and so that these animals can get the resources they need for the winter months. Located on Tahoe’s eastern ridgeline, Spooner Lake and the hike to Marlette Lake offer an immense valley loaded with aspen and willow groves for one of the most spectacular fall color opportunities in the Tahoe basin. Spooner Lake boasts a family-friendly picnic area and an easy one-mile trail circumnavigating the still waters that reflect and magnify the intense fall colors surrounding its shoreline. More ambitious hikers and mountain bikers can cruise the 10-mile roundtrip trail to Marlette Lake to take in some of the finest displays of color in the region. The sheer volume of golden aspen leaves will be well worth the trek. Just minutes outside of Incline Village and only 40 minutes from Reno, the Mt. Rose Summit and Mt. Rose Meadows area offers unparalleled opportunities to see fall color against the backdrop of Tahoe’s cobalt blue waters. 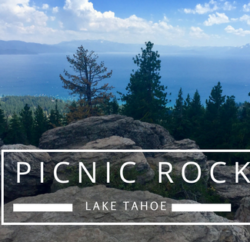 Enjoy a mild day hike along the Tahoe Rim Trail by hiking from Mt. Rose Meadows towards Ophir Creek, or challenge yourself with a brisk fall hike up the summit of Mt. Rose, the second-highest peak in Tahoe at 10,776 feet, through vibrant meadows full of changing colors.